Do you need someone reliable to come and clean your carpets? Right Cleaning is the right choice for you. 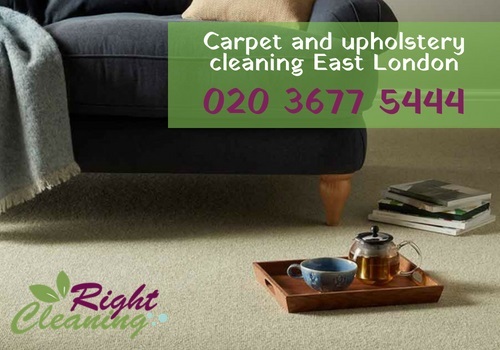 We offer professional carpet cleaning services in East London. Our cleaners have experience and knowledge to deal with all types stains on different carpet fibers. We offer dry carpet cleaning for natural or antique carpet as well as steam carpet cleaning for synthetic materials. Just call us and forget about all struggles as there’s nothing easier than relying on our carpet cleaners in East London to make your rugs perfectly clean.